In the UK we have over 9.000 employees, more than 300 branches, and a network of over 70 Financial Solutions Centres, servicing 2.6 million customers. That makes us small enough for your voice to be heard – yet ambitious enough to give your career the room it needs to grow. Yorkshire Bank has a strong base in the North of England and the Midlands with premises across this geography. Clydesdale Bank has premises across Scotland and the South of England, making this one of Scotland’s largest banks. Clydesdale Bank and Yorkshire Bank aren’t just successful names in the UK financial services market. We’re also part of one of the world's largest and most successful financial services groups - National Australia Group. Not too big. Not too small. It might seem like an unusual way to describe a bank, but it perfectly sums up what makes Clydesdale Bank and Yorkshire Bank a great place to work. Prudent, measured and reliable – we have weathered the global financial crisis. And we’ve kept our focus on serving our customers and looking after our people – putting us in good shape for the recovery. In other words, we’re a great place to start – or further – your career in financial services. Job Title: Customer Service Officer Business Unit: Customer Banking Location: Oban Basic Salary: £17,000 - £21,502 DOE (plus 33 days holiday) Contract Type: Full time, Permanent An exciting opportunity exists within our Branch right now!! 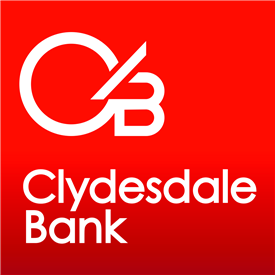 Get the latest jobs from Clydesdale Bank sent direct to your inbox!